"The office space reflects the ethos of the company combining luxury materials and aesthetics juxtaposed with New York street culture." 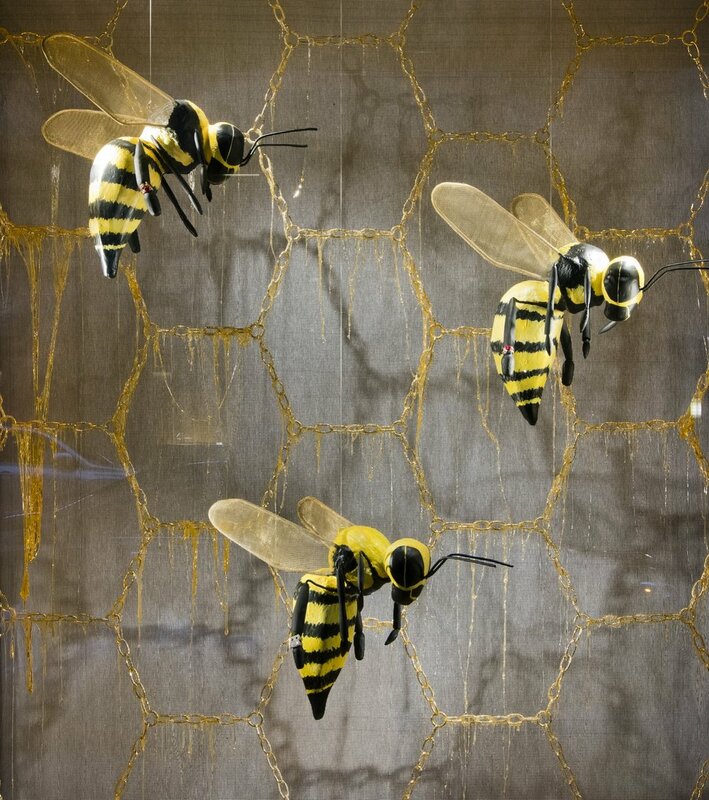 "The vibrant and irreverent bee window at Alison Lou on 69th Street in New York City is an homage to all things spring..."
"The three bees are hand sculpted, and each have Alison Lou stackable rings on their forward-facing leg." "Designed by Space NY the bright and inviting 60-seat space nods to traditional Thai architecture in a modern way." "The restaurant specializes in fresh, interesting Thai food that does not include the ubiquitous pad thai. Think more bright spices and seafood, which match the restaurant's bright but chic interior designed by SPACE NY."